The Scientific Tools and Techniques Program (STT) is a semester-long course designed to familiarize students with the tools and techniques of scientific inquiry. STT students practice problem-solving skills utilizing a fully integrated science curriculum. Through laboratory and field work, students explore all aspects of science, gaining a better understanding and a greater appreciation for the scientific process. Show off your Science Skills! Want to learn about animals, forests, food, robots, oceans and much more? Advanced Studies at Fernbank Science Center may be for you. This unique experience, available to all high school students, offers hands-on investigations into a variety of specialized areas of science. Students will have the opportunity to study with expert instructors, working in well-equipped laboratories or traveling to the field. 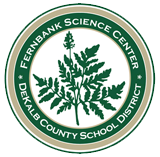 The courses are provided tuition-free to all DeKalb County School District students. The courses are available to students outside of DeKalb County on a space-available, fee basis. Contact the science center for more information.